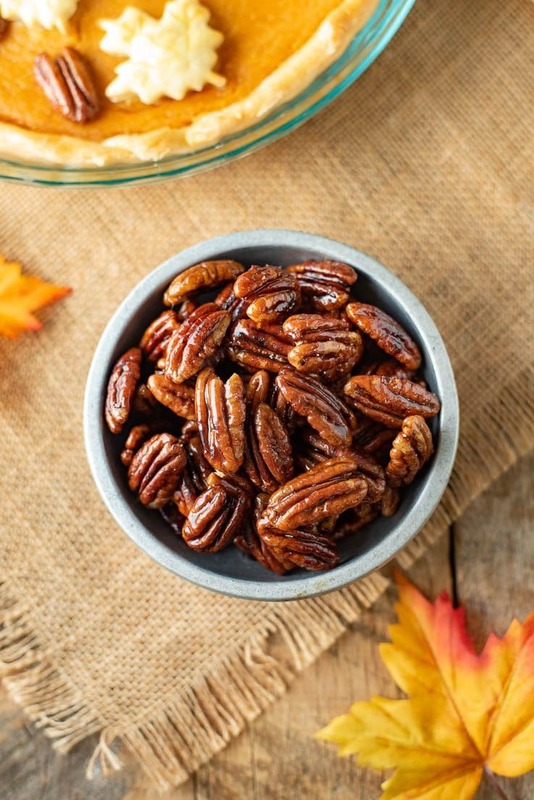 Maple Glazed Pecans can be a delicious sweet treat, a toasted crunchy topping for ice cream or to decorate your holiday dessert. 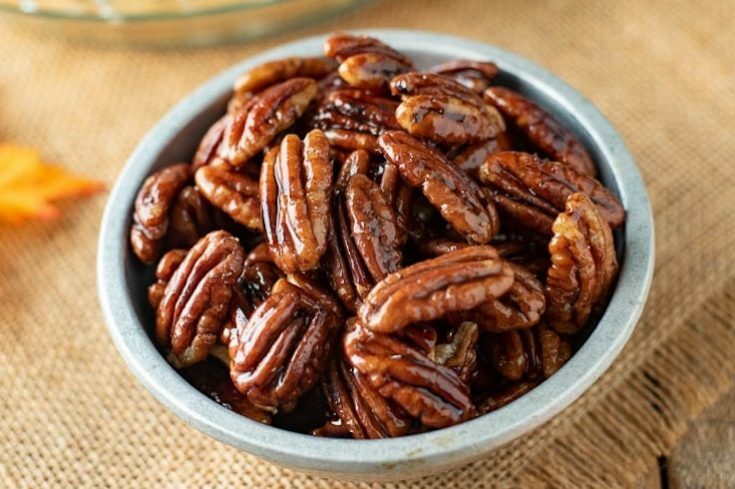 How can I describe these maple glazed pecans? Hold on, let me eat another one. They are extra nutty because they are toasted before glazing, a little sticky and just really good with a hint of a salty, maple sweetness. 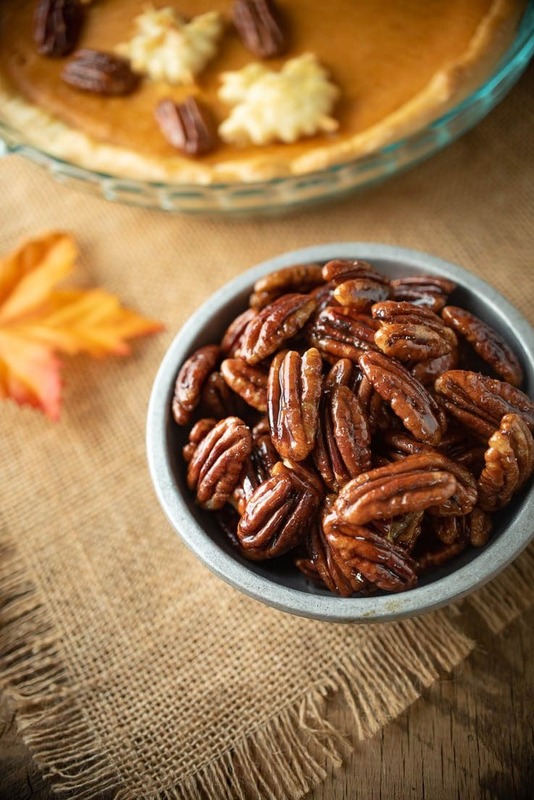 Made on the stovetop, pecan halves are toasted and browned in a dry pan, coated in maple syrup and allowed to cool. So easy to make, they are delicious in salads, topping an ice cream sundae, cheesecake or pretty much any dessert really. For something a little different, these pecans would be delicious topping for my Bourbon Pecan Pie. 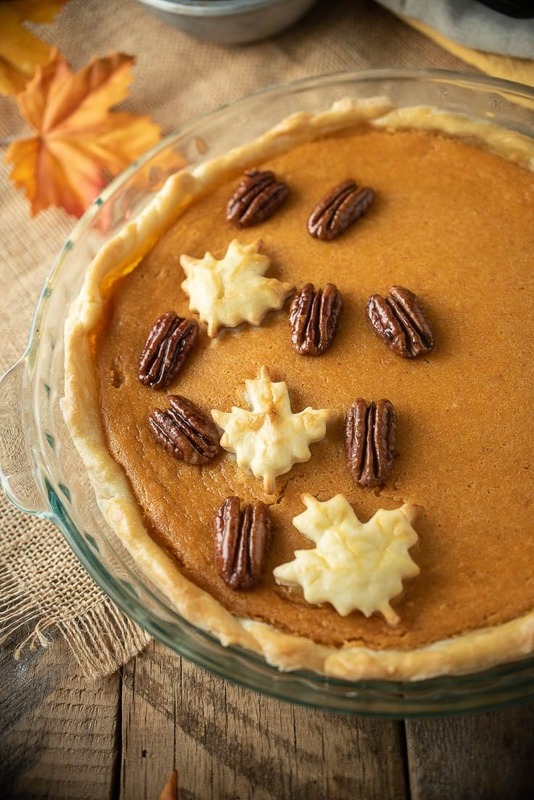 I like to use them in both savory and sweet dishes, like Roasted Butternut Squash with Maple Pecans and my newest creation, Maple Sweet Potato Pie (recipe coming in 2 days). Scroll down for pictures and recipes links at the bottom of this page. I am of the firm belief that the quality of the ingredients make a dish even better. This statement could not be more fitting than when it comes to maple syrup. Good maple syrup should be not too sweet and taste wonderfully maple-y. It should also be 100% maple and not maple flavored syrup. I always buy the best I can find without spending almost $20 for a bottle. Is pecan better than walnut? Both are heart friendly nuts and this method would also be delicious using walnuts. Pecans are a good source of vitamin E and walnuts are higher in Omega 3’s. 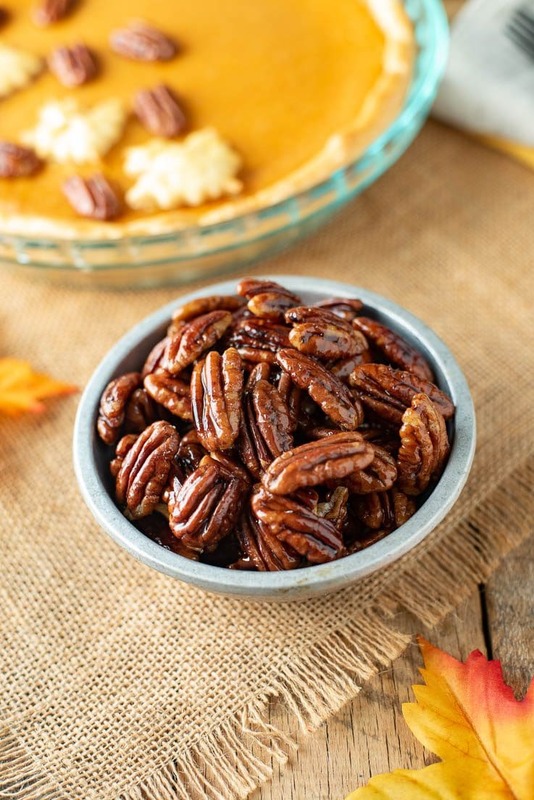 If you’ve tried How to Make Maple Glazed Pecans or any other recipe on the blog then don’t forget to rate the recipe and let me know how it turned out in the comments below. I love to hear from my readers! 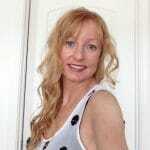 You can also FOLLOW ME on FACEBOOK, TWITTER, INSTAGRAM and PINTEREST to see daily recipe updates. In a medium skillet over medium low heat, add the pecans. Toast the pecans, tossing every 2 minutes until they are brown and toasted. To a large non-stick skillet over medium low heat, add the pecans. Toast the pecans, tossing every 2 minutes until they are brown and toasted. Add the maple syrup and salt and mix well to coat. Transfer the pecans to a parchment lined baking sheet. Separate so they will not stick together and allow to cool. I make these all the time and I agree, good maple syrup is the key. I love them in my salads. 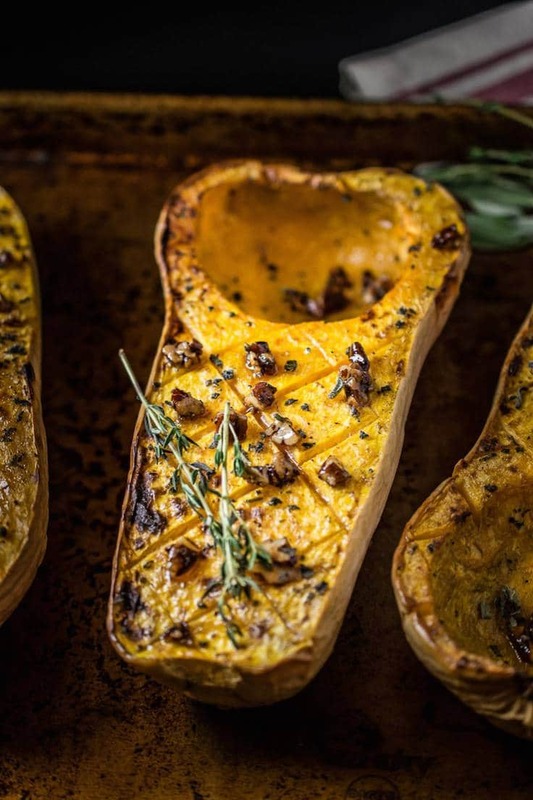 What a simple and delicious looking recipe! 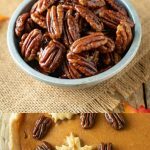 I am already in love with pecans, so adding a maple glaze just makes them out of this world! Can’t wait to give these a try sometime. I know my family will be instantly addicted.